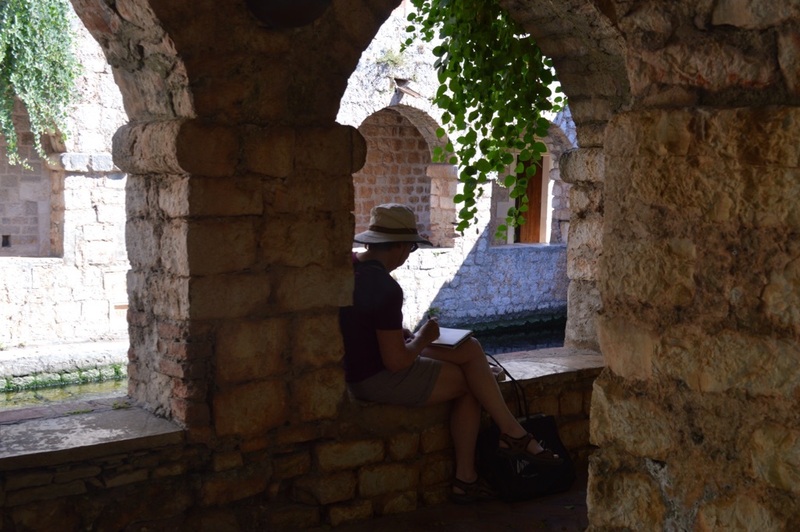 Day two of the retreat saw us in Stari Grad, the oldest town on the island, and indeed one of the oldest in Europe. As the former Greek colony of Faros, this place was already old in the 16th century, when Petar Hektorović built his summer residence here. 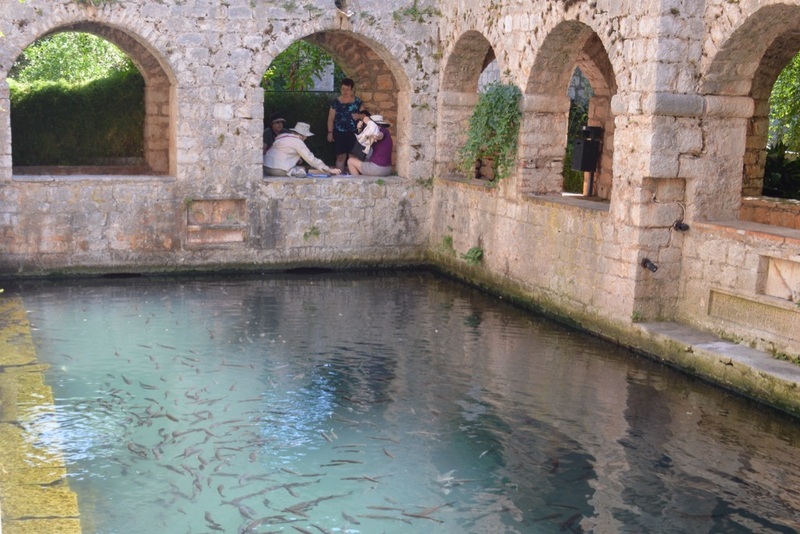 Tvrdalj was originally on the waterfront, bristling with fortifications, but is now a peaceful cloister and garden with a lovely pool full of grey mullet. After some reconnoitering and taking of photographs, our artists settled down to paint their favourite views. Time passed as we were all happily absorbed in our different views. The non-painters took themselves off to a nearby cafe for a beer and wifi connection. Lunchtime was a chance to walk through the old streets, taking more photos. We went to Djardin, which has a lovely courtyard garden with fruit trees and overhanging vines for shade. Waiting for our food, we held our review of the morning’s paintings – or as one of the artists remarked, an experience also known as the “wall of shame”! After lunch, we had a tour of the Museum of Stari Grad, housed in the former Biankini Palace, an elegant 19th century building. 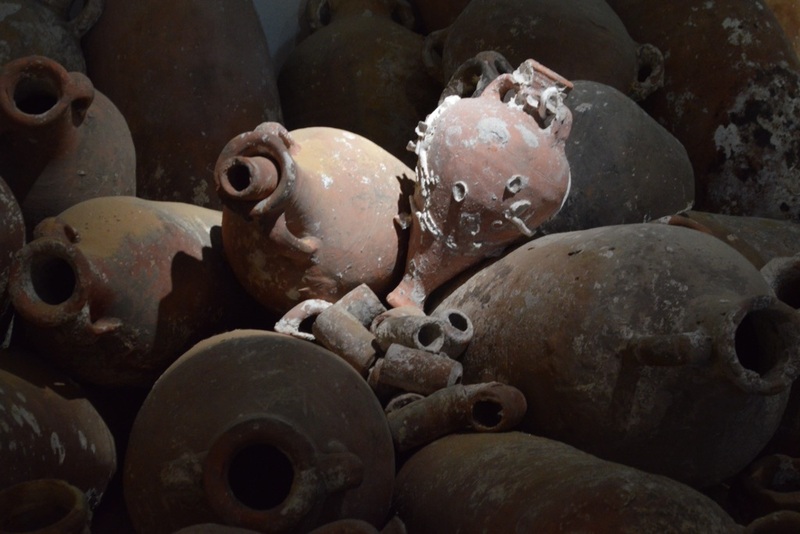 They have relics from Greek and Roman times, most notably a large collection of amphorae from a Roman shipwreck. 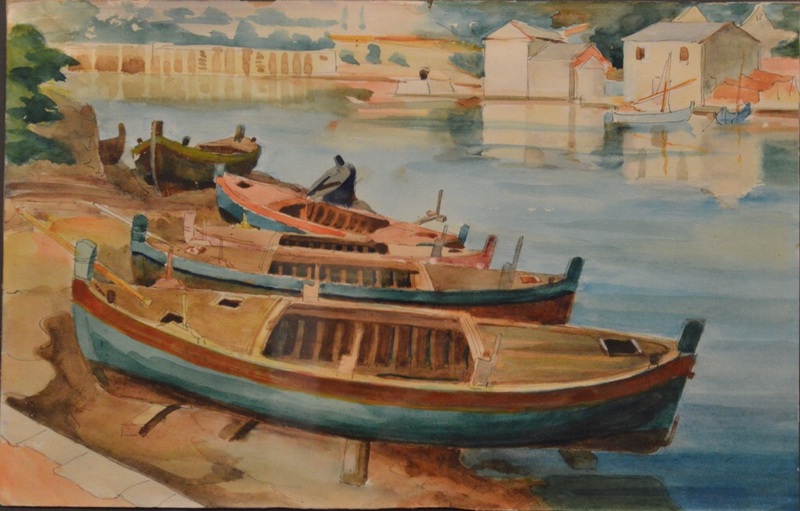 Upstairs is an exhibition of paintings by two local artists – Juraj Plančić and Bartol Petrić, including a couple of watercolours of Stari Grad. Following that, we took time for an ice cream and a rather impressive cake, before visiting local photographer Petar Botteri. 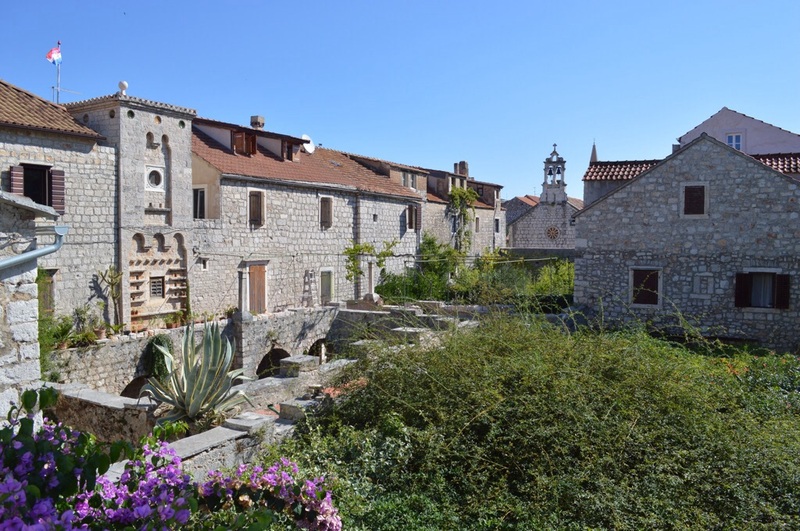 His beautiful images of Stari Grad have appeared in National Geographic, and on many book covers and calendars. I’m particularly impressed by his shots of seagulls, which he says take him a long time to achieve! 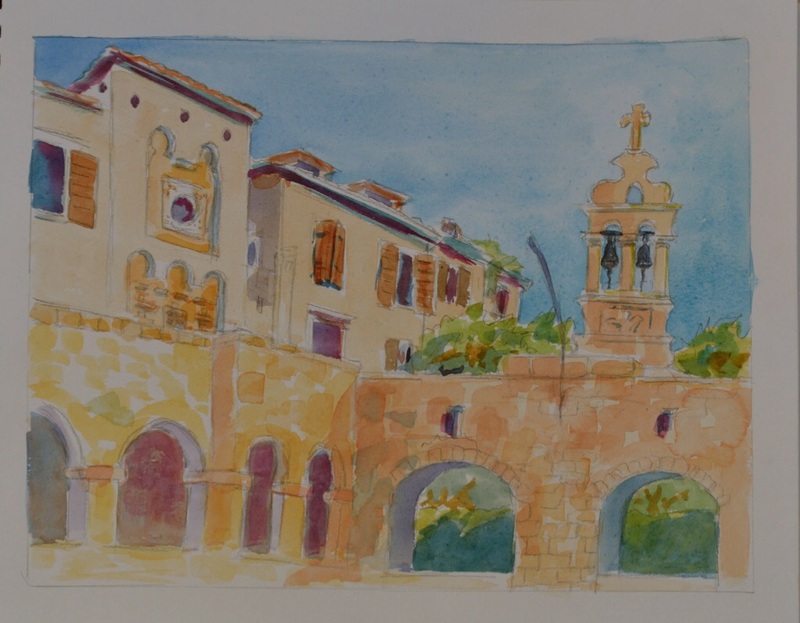 Hvar Artist Retreat 2016 – a great week of painting! Beautiful painting Mara – loved seeing your travel photographs too.